Is There Finally Going To Be A Nerdgirl Movie? Movies like Paul, Scott Pilgrim, Chasing Amy, and Fanboys chronicle the saga of the male geek. Obsessive female fans don't see much of themselves on the big screen. Now a movie is in production that could change all that. 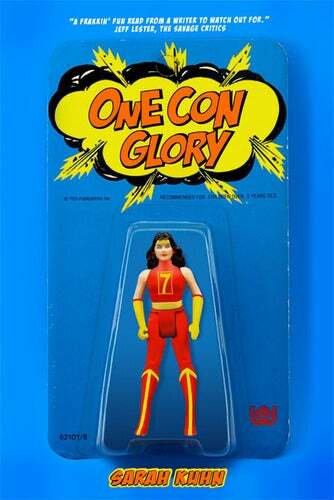 One Con Glory is a story about life, love, and action figures - and one woman's obsession with avoiding the first two while seeking the third. It follows Julie, a nerd culture reporter covering a giant comic book convention. A little too much drinking on the first night leads to antics that leave Julie with an ill-gotten classic action figure, a new relationship, and a blood feud against another reporter. Find out more in an interview with the filmmakers, over on io9.